When it comes to leisure, everyone has their preferences, and choosing the right activity or game can mean the difference between a fun time and simple frustration. Of course, you will want to consider your choice even more carefully if you are planning on investing in equipment for that game. 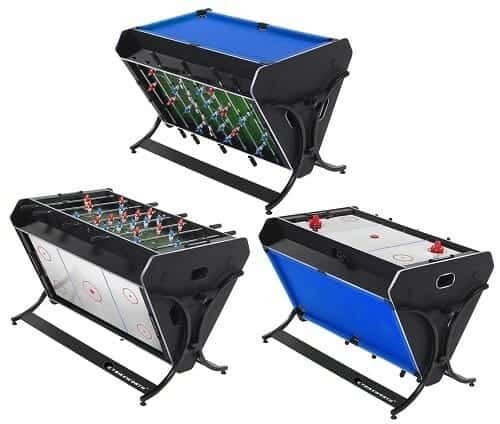 If you’re thinking of getting a foosball and air hockey table, for example, you can expect to drop a substantial sum of money on one of them, so choosing the right one is crucial. Let’s take a look at the comparison between an air hockey and foosball table so you can get an idea of what to expect from them. The first thing that you’ll likely want to consider is which of the two games will be more of a challenge, and that depends on the player. If you prefer a game that is more directly reflex-based and requires less planning, then air hockey will likely be the best choice for you, as it is a little more action-packed. Of course, this does not mean that games of foosball can’t get equally intense, but both of the players will have to be quite skilled, and this may be a challenge if you don’t have friends who play. Foosball also involves more cooperation, namely in doubles matches where you have four total players. In the end, the challenge is up to your skill set, but many would agree that foosball has a bit of a higher skill curve. This isn't a bad thing, however, as there is so much more room to improve and hone your skills as a foosball player, and it provides a level of depth that is missing in air hockey. Of course, the best game will be something subjective, as everyone has different preferences, but there are a few factors that distinguish the two game tables and may sway your opinion. Perhaps the most critical difference is that you can easily play with four players on a foosball table while air hockey is typically limited to two. Another thing that you will want to account for is that a foosball table is often a simpler product than an air hockey table, making them much more reliable. 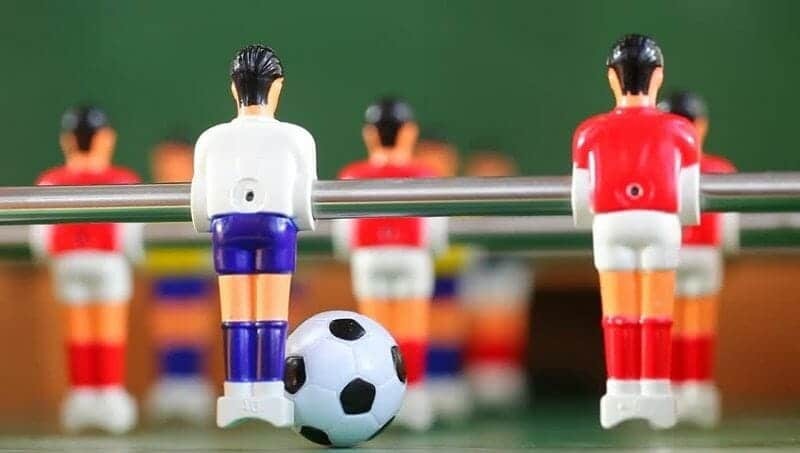 The lack of fans and electric motors in a foosball table means that you will be less likely to spend a substantial sum of money on it and it will require less maintenance. Combination Air Hockey And Foosball Table? There is one other choice at your disposal when deciding between these game types, and that is the air hockey and foosball table combo. These game tables are designed to be converted between the two games so that you will be able to play both of them at a moment’s notice. Thank you for taking the time to read our air hockey and foosball table comparison guide. Leave us a comment if you have any questions or remarks.